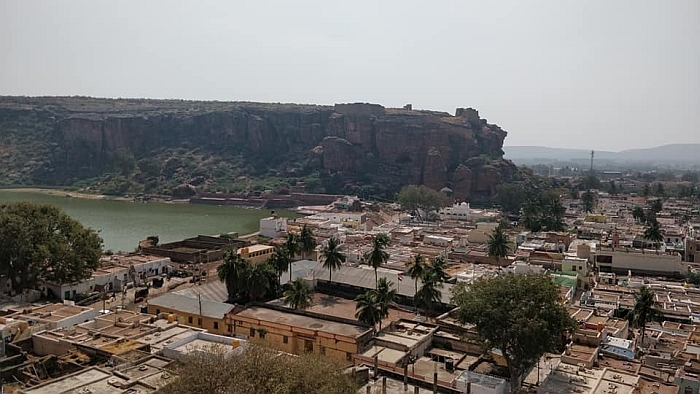 Badami is well known for its rich history and ancient architecture. 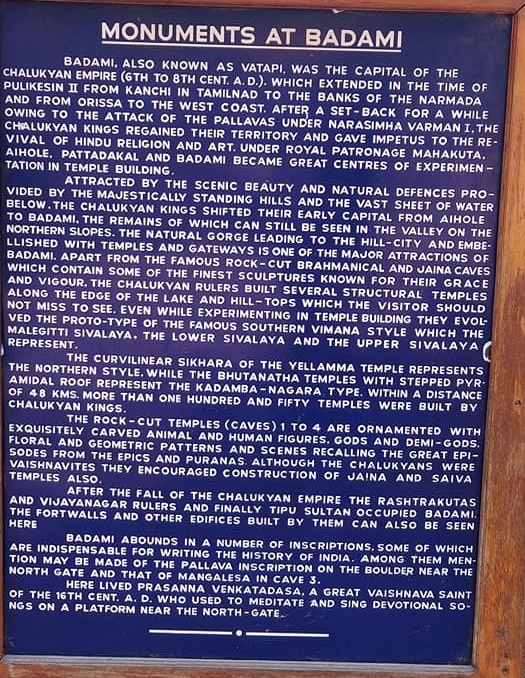 It was the ancient capital of the early Chalukya kingdom. 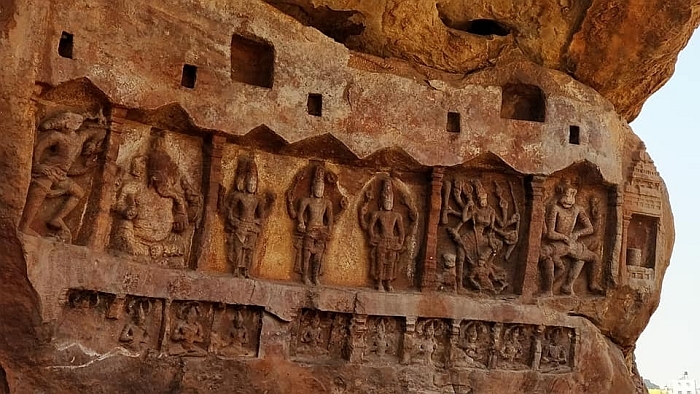 A number of richly carved monuments and caves belonging to Chalukyas, dating back to the 6th and 7th centuries can be found here. 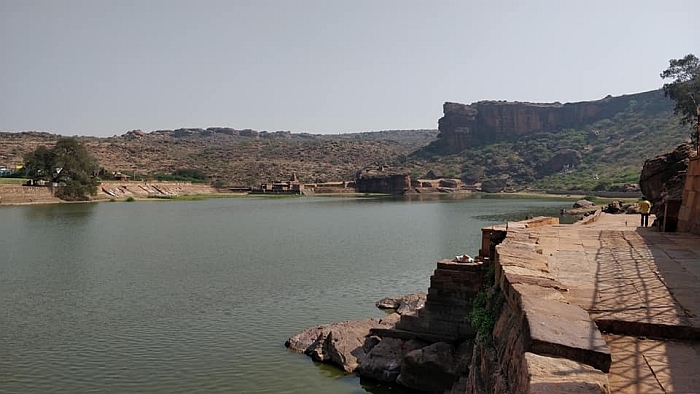 The rich past of Badami is closely linked with the ancient Kingdom of Chalukyas. 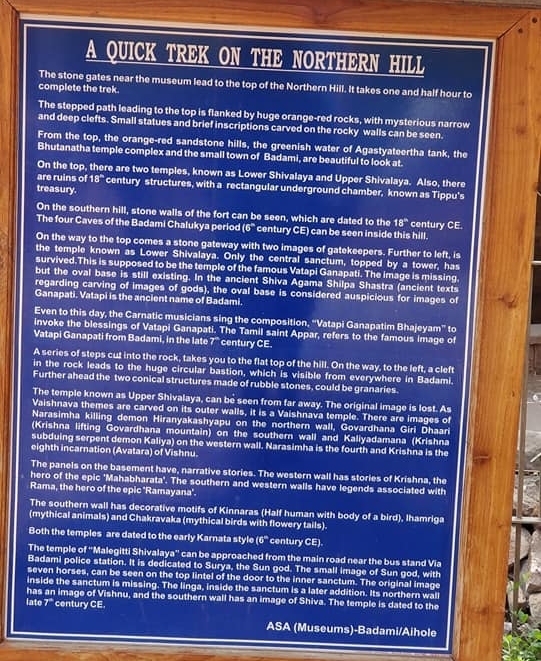 It was founded in the 6th century ad by Pulekeshin I, the great Chalukya ruler, and was the capital city of the Chalukyas. 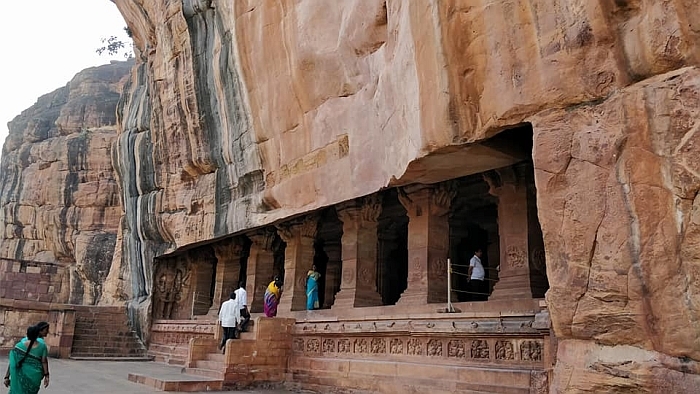 What to see - Badami cave temles, Bhutanatha group of temples, Agasthay lake, Banashankari and Mahakoot temples. Entry fee - Rs 10/-free for childeren below 15. Open all days a week from 9-6. Time reqd - half a day, lots of walk, morning and evening best time of the day, Oct-March best time climate wise. Monsoons best time to view waterfalls. 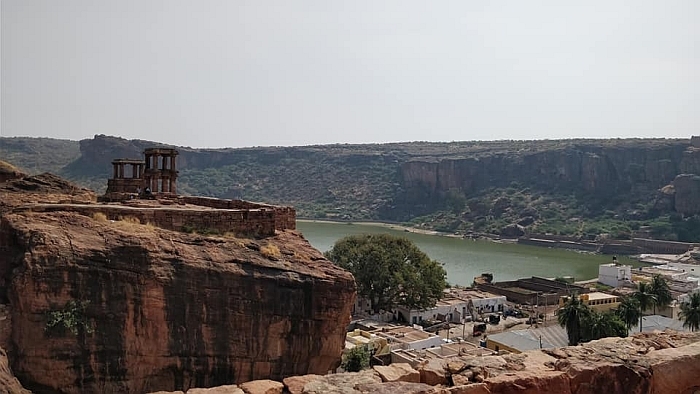 What to see here in Badami. 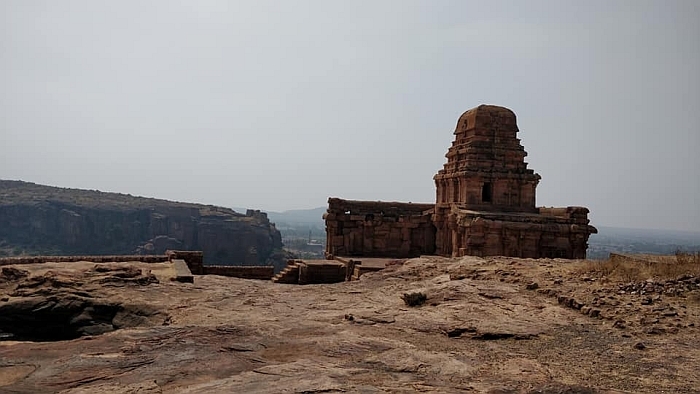 Badami is famous for its rock-cut cave temples. 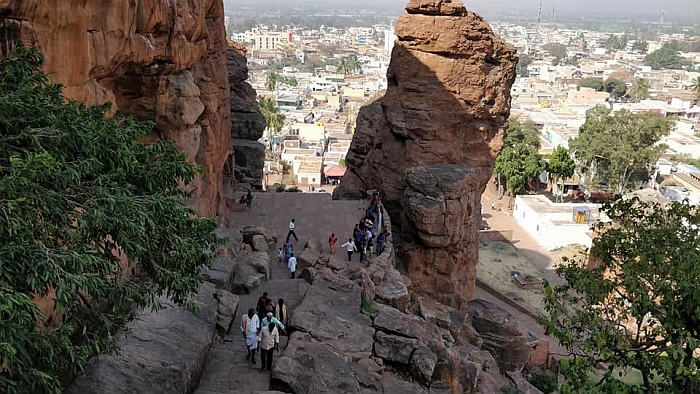 These temples have been carved out on the red sandstone hills that surround the town. 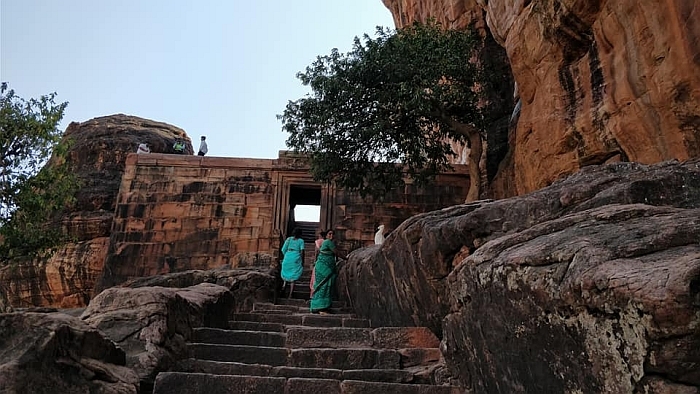 There are four cave temples at Badami. 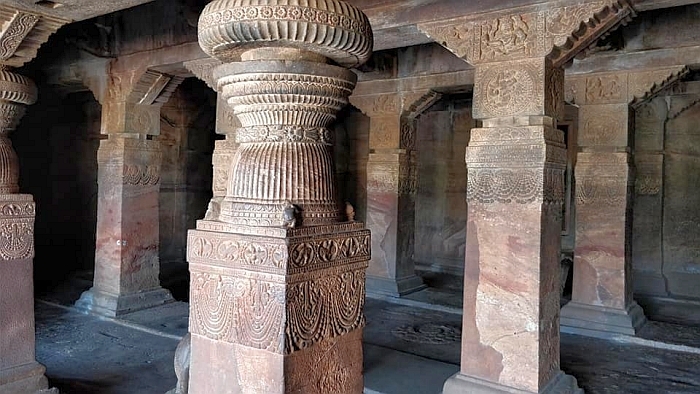 These temples date back to the 6th and 7th centuries ad and ornately carved with figures of Hindu deities. Three temples are dedicated to Hindu gods. 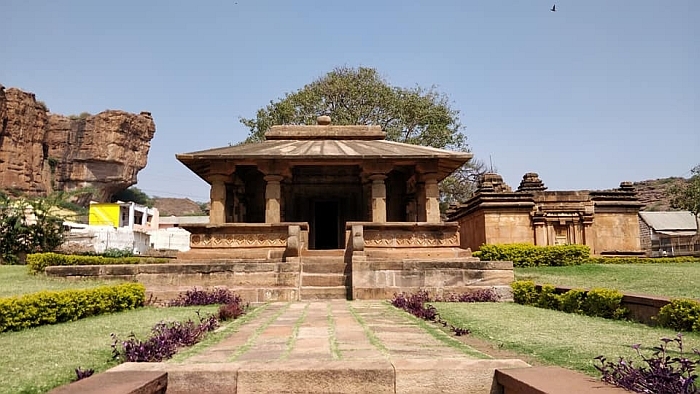 The fourth one is a Jain temple and was built much later. 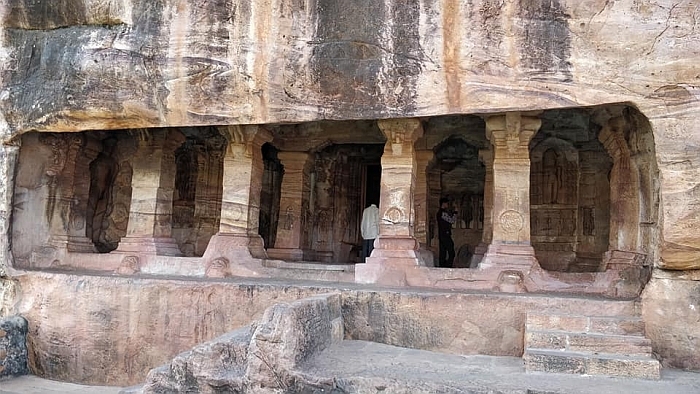 Near these caves lies the 5th century Agastyatirtha Tank, dotted with Bhuthnath temples, dedicated to Lord Shiva. 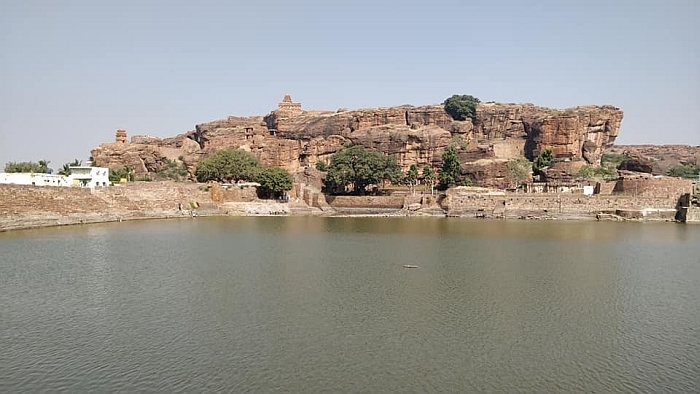 The archeological museum is located near this tank, which in turn is near the historic Badami Fort. 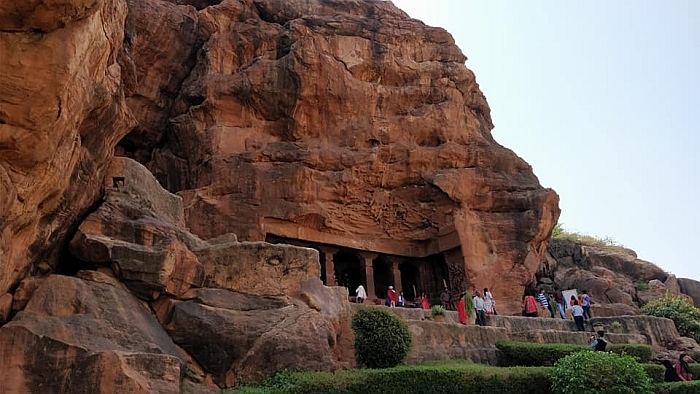 Badami caves were built by using sandstone available on the hill. 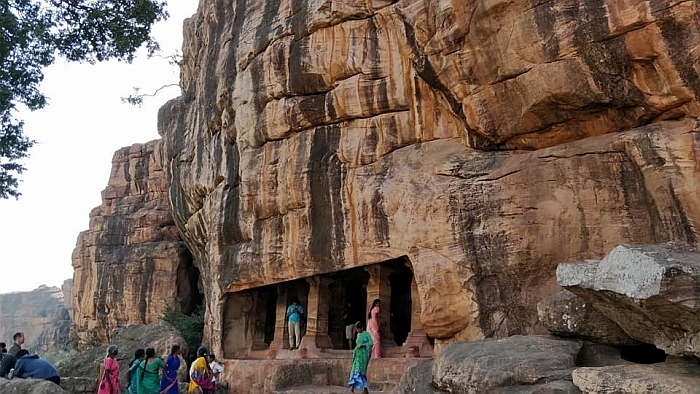 Badami Caves from one to four are numbered in order of their creation. 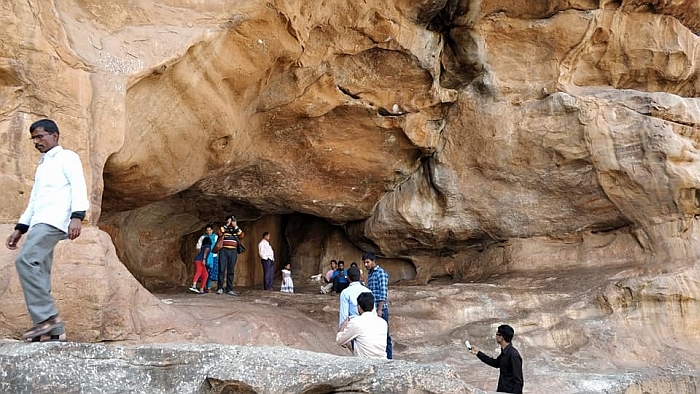 There are five caves in Badami out of which four are man-made and fifth is natural. Though exact date of the construction is not known but the inscription found in cave 3 shows that this cave was constructed by Mangalesha. 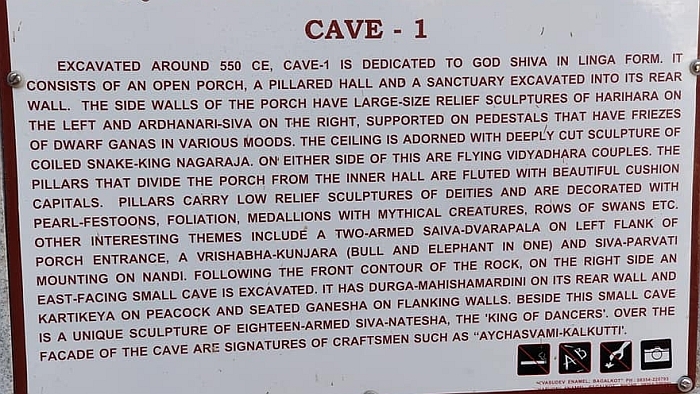 Probably the 1st cave to be built and dedicated to Lord Shiva. Entry is through a staircase. 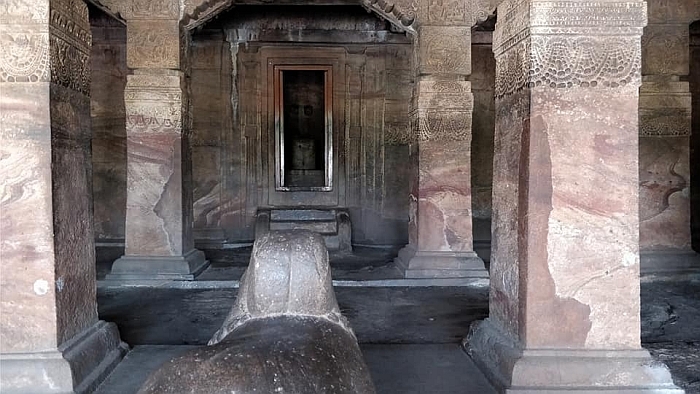 Each step is carved with an attendant of Lord Shiva in different postures. 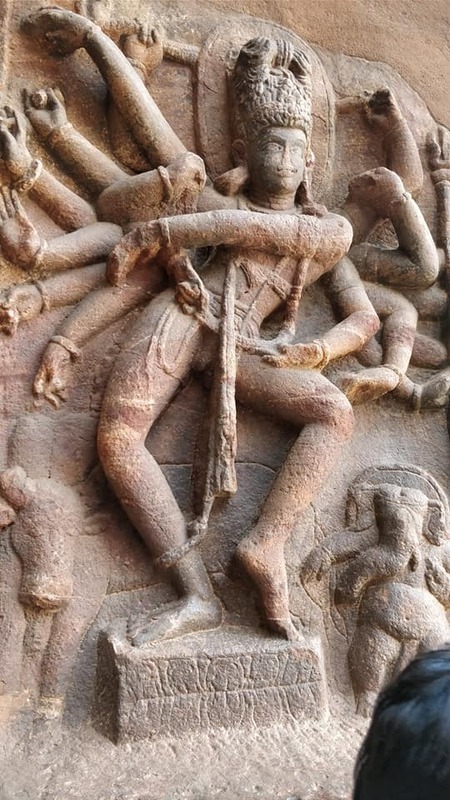 There is an image of Lord Shiva with eighteen hands showing different gestures. The sculptures of Ganesh and Nandi bull can be seen. 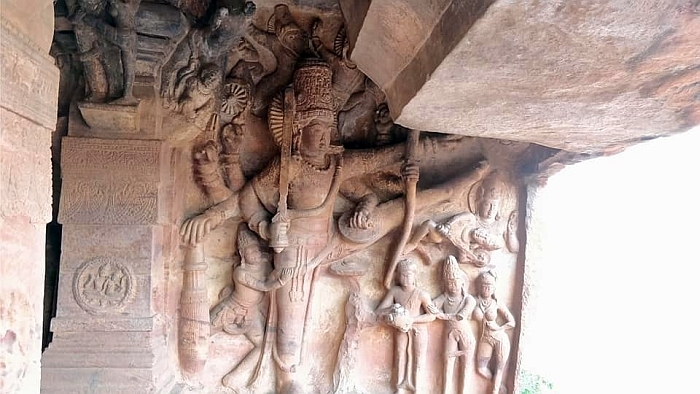 One wall of the cave has the image of Goddess Durga who is killing Mahishasura. 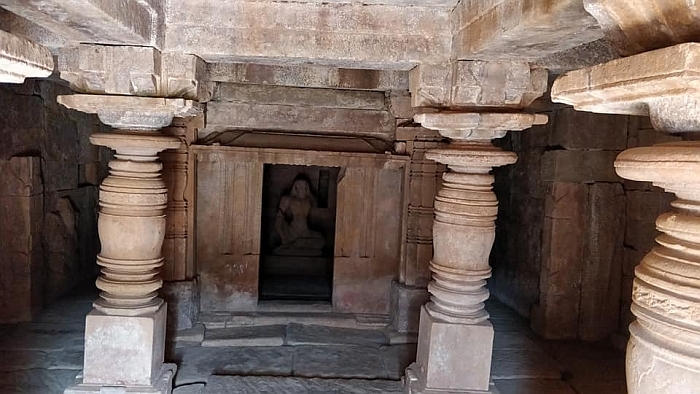 Cave 2 is believed to be built in 6th century and is dedicated to Lord Vishnu. The cave can be reached through a staircase of 64 steps. At the entrance four pillars, with Lord Vishnu in the form of Trivikrama. 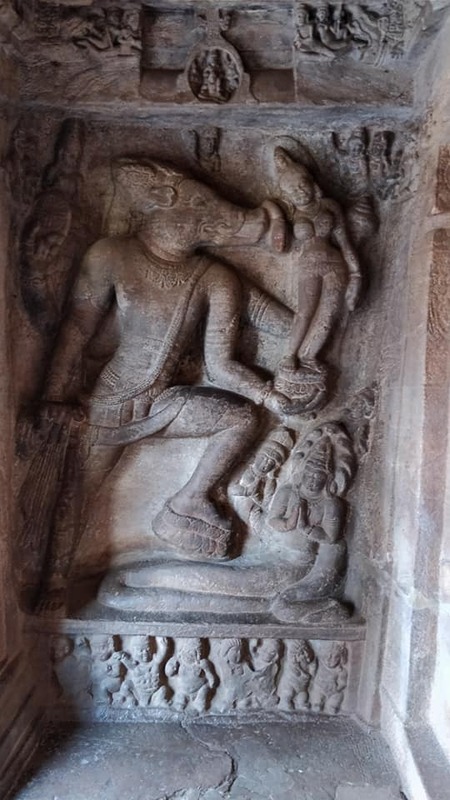 Lord Vishnu is in the form of Varaha saving Mother Earth and avatars of vishnu can be seen here. The ceiling of the cave has a wheel which has sixteen fish spokes. Along with this, there are swasikas and flying couples which can also be found on the ceiling. 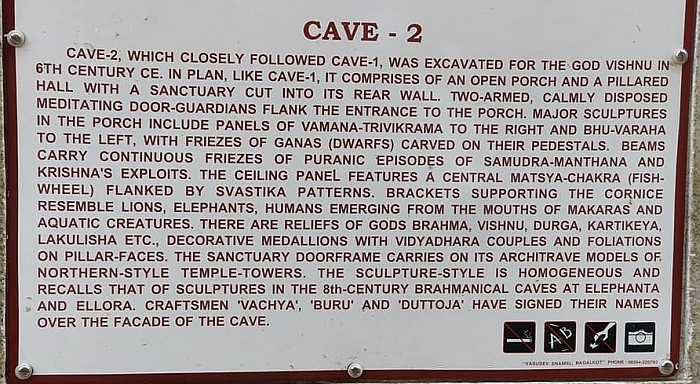 Cave 3 is also dedicated to Lord Vishnu and is the largest cave among the five caves. 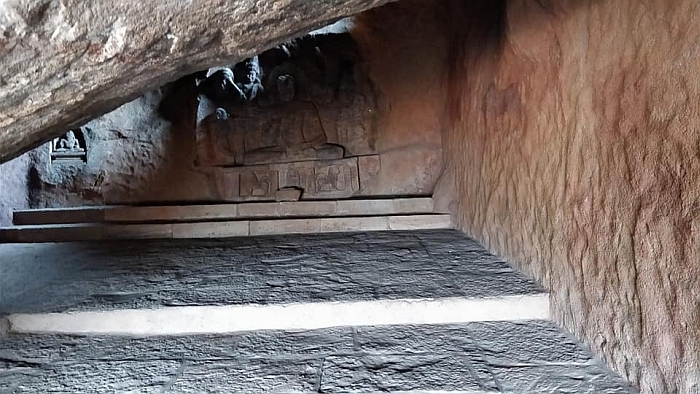 There are many images in the cave which include Trivikrama, Anantasayana, Paravasudeva, Bhuvaraha, Harihara and Narsimha. 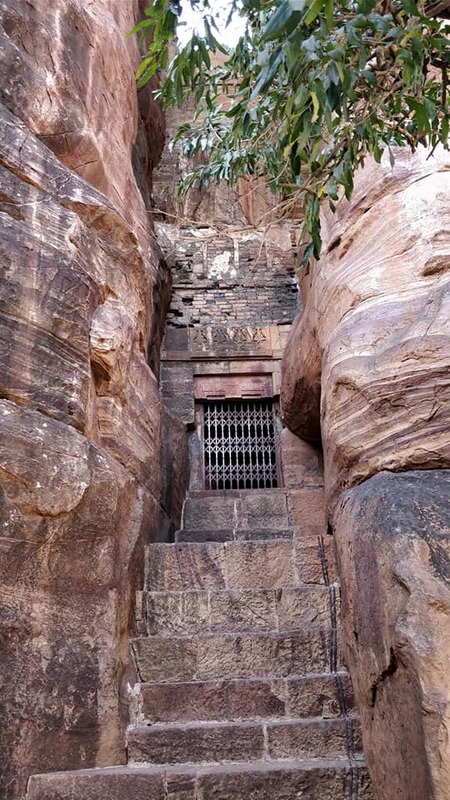 Cave 3 can be reached through a staircase of 60 steps. 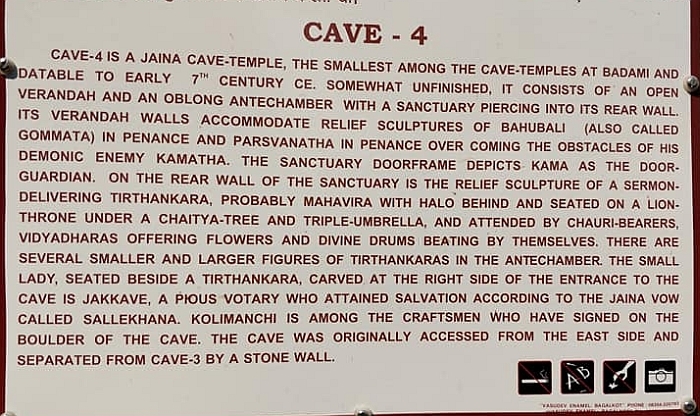 Cave 4 is dedicated to the Tirthankaras of Jainism. 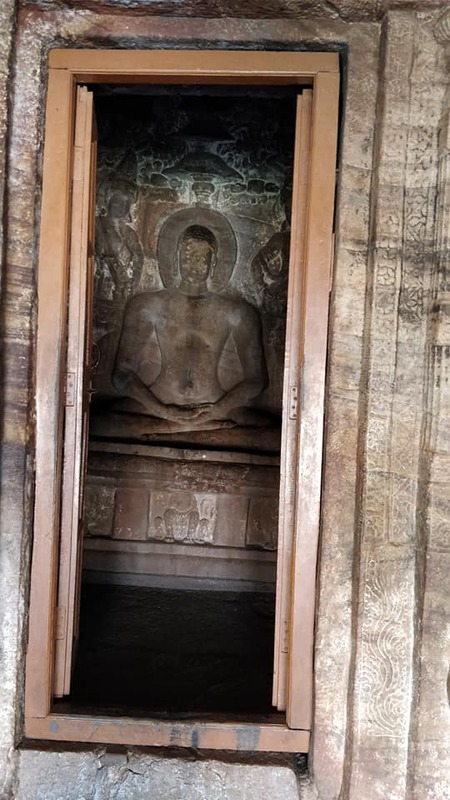 There is a figure of Lord Mahavira siting on a lion throne and surrounded by attendants. Cave 5 is a natural cave which is very small. There is a statue but nobody knows to which deity the statue belongs. The statue sits on a throne and image of a tree, an elephant and a lion is there besides the statue. 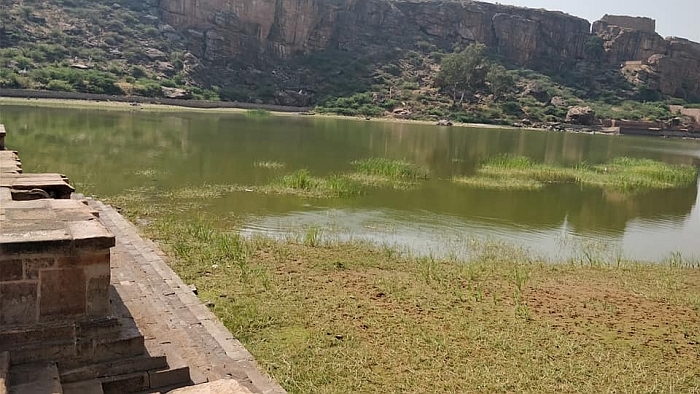 It is a very big lake and surrounds the caves. It is believed that the water of the lake is holy due to its healing capabilities. Bhutanatha group of temples are located at the east while caves exist at the southwest of the lake. The place is crowded for washing clothes and taking bath. 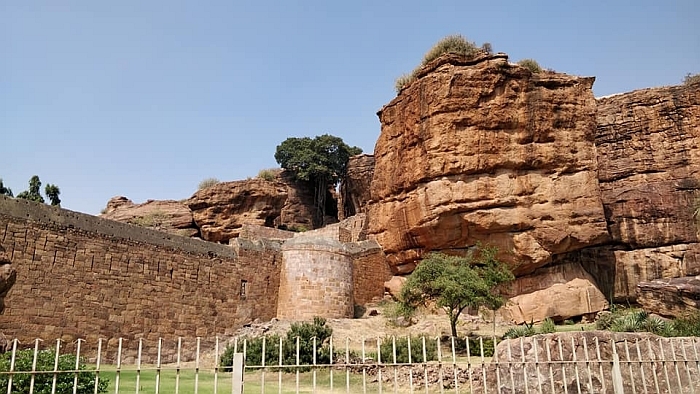 Badami fort lies opposite to the Badami caves and was built by the rulers of Chalukya dynasty. The fort is surrounded by double walls and was built on the basis of Chalukya architecture. 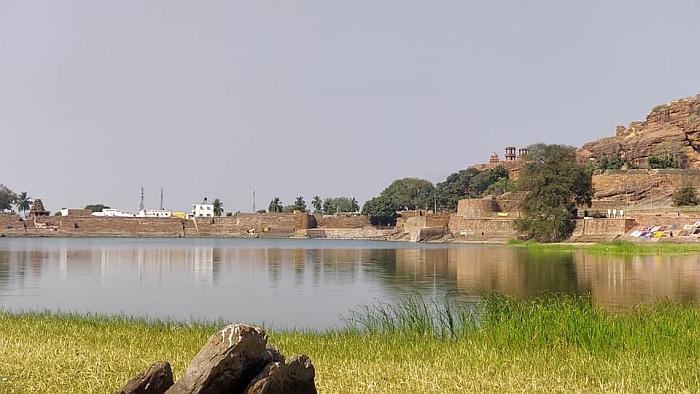 Pallavas plundered the fort in 642AD. Tipu Sultan rebuilt the fort during his reign and added more structures to it. 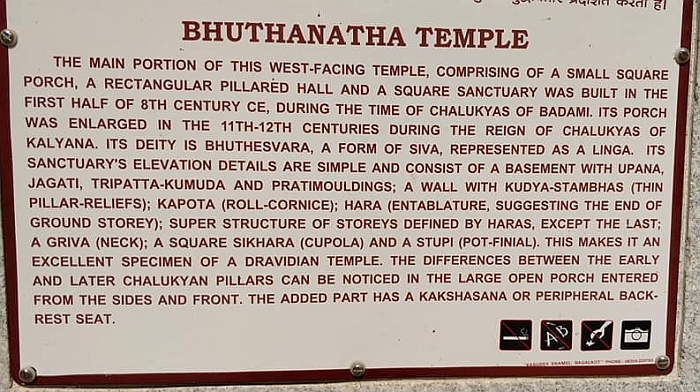 Bhutanath Group of Temples includes two temples. 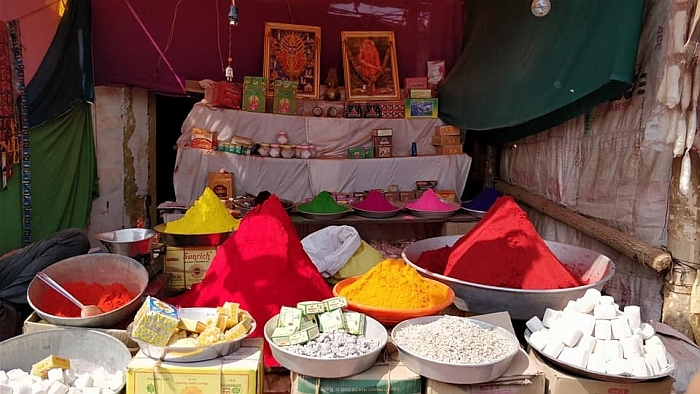 One temple is on the eastern side of the lake and is called Bhutanatha temple and other is on northeast side and is called Malikarjuna temple. Bhutanatha temple has a hall which extends to the lake. 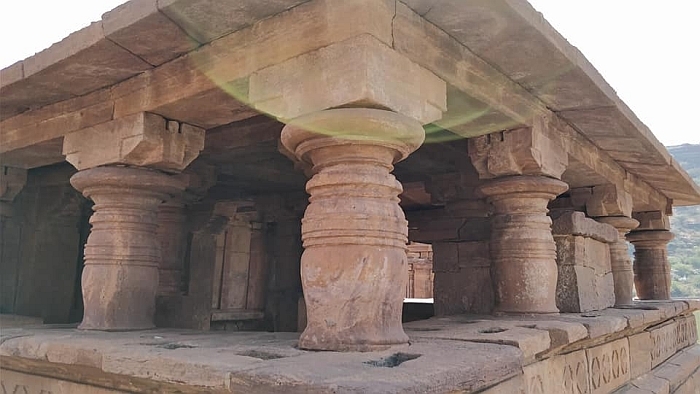 There are two mandapas in the temple out of which the inner one was built by Badami Chaliukyas and the outer one was built by Kalyani Chalukyas. is an ancient temple situated in a small village called Pareshghad, is dedicated to the deity of the forest and vegetation. 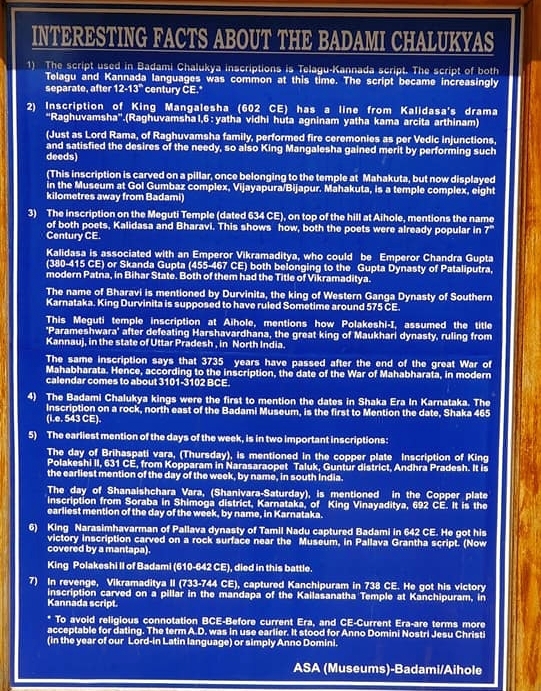 7th century Badami Chalukya kings, who worshipped goddess Banashankari as their tutelary deity. 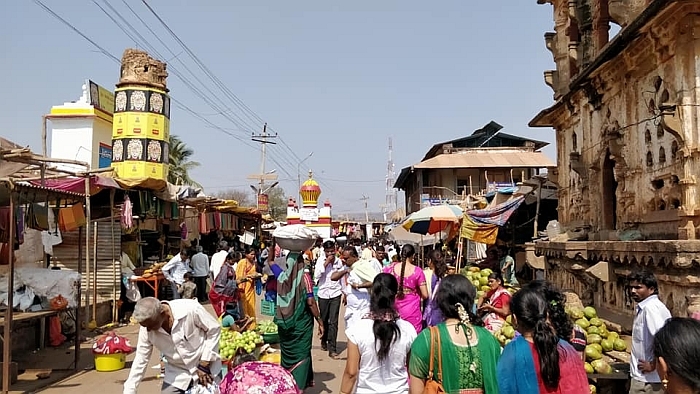 During your visit don�t forget to taste Dry Jawar roti (Jolada Rotti),Chutney and Curd which is served for very less price by village people near temple campus. 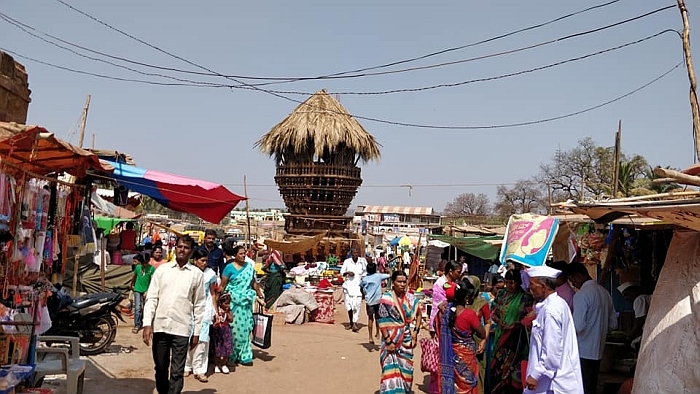 Banashankari Jatre festival - The temple is crowded, most of the time with farmers from Karnataka and Maharashtra and the greatest offering is "Bazi" - 108 varieties of vegetables. 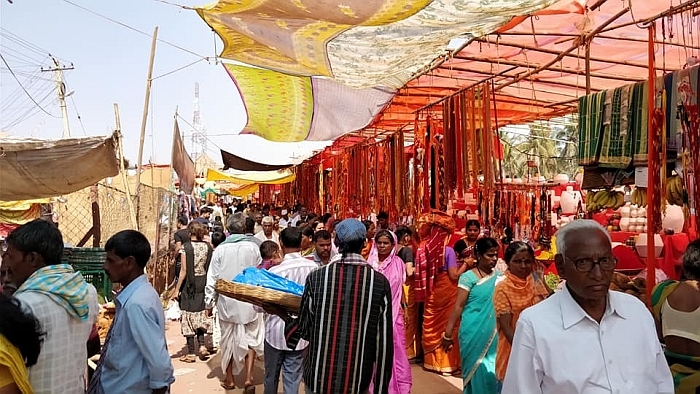 It's believed that the deity wears a garment made of vegetables. 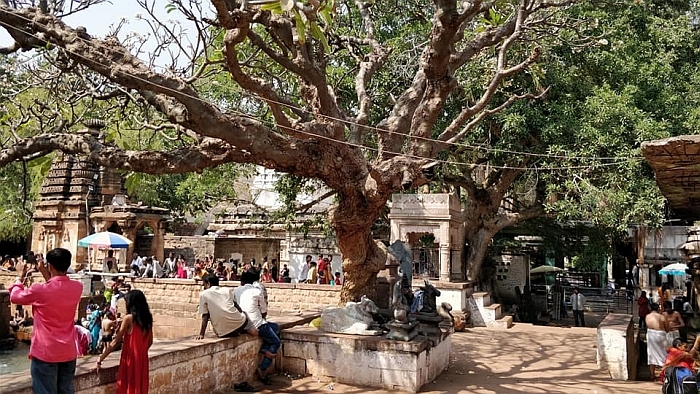 Mahakuta group of temples is located in Mahakuta. 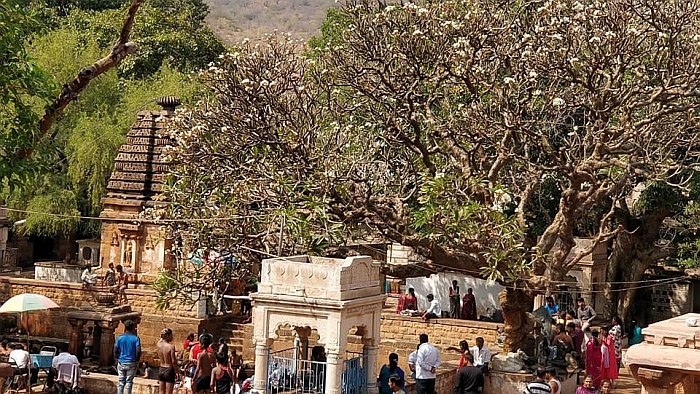 It is an ancient Shiva temple and it's believed that saint Agasthya used to stay here. 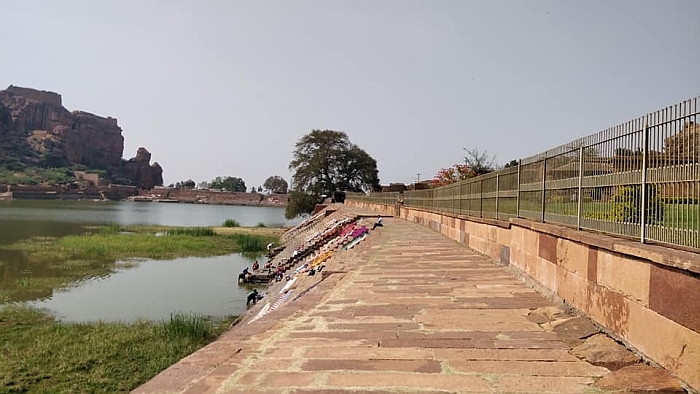 There are two pools here, the bigger one is known as Shiva Pushkarni and the small one "Kashi Theertha". 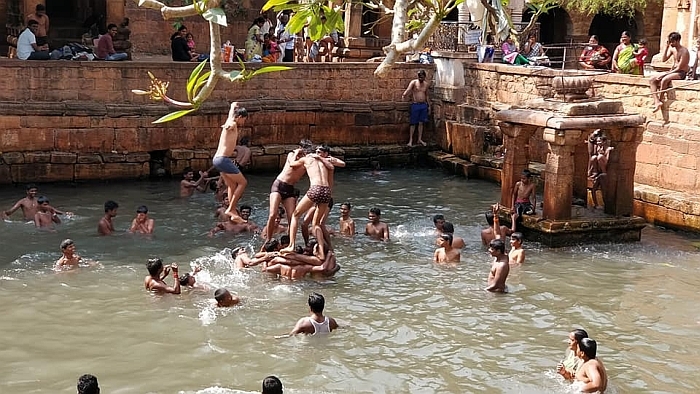 It's believed that Ganges flows into this pools that's why people often call this place Dakshin Kashi.